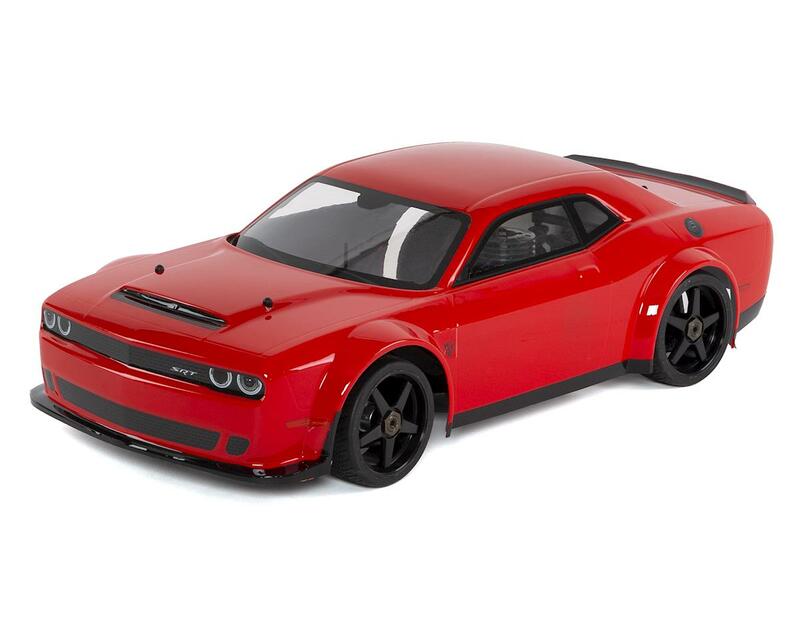 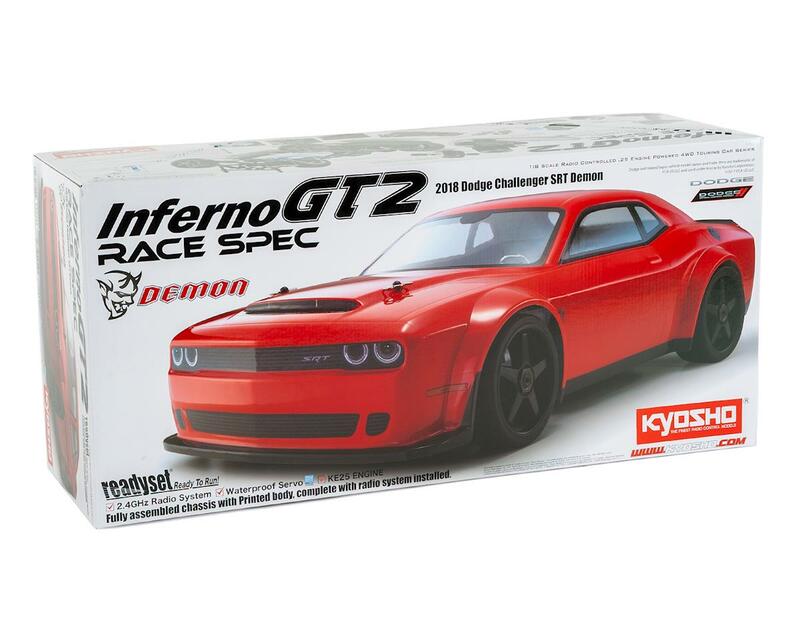 The Kyosho Inferno GT2 Race Spec Dodge Challenger SRT Demon 2018 is powered by the fuel-efficient and user-friendly KE25 engine and has been tuned up to deliver speeds over 40 mph (70km/h). 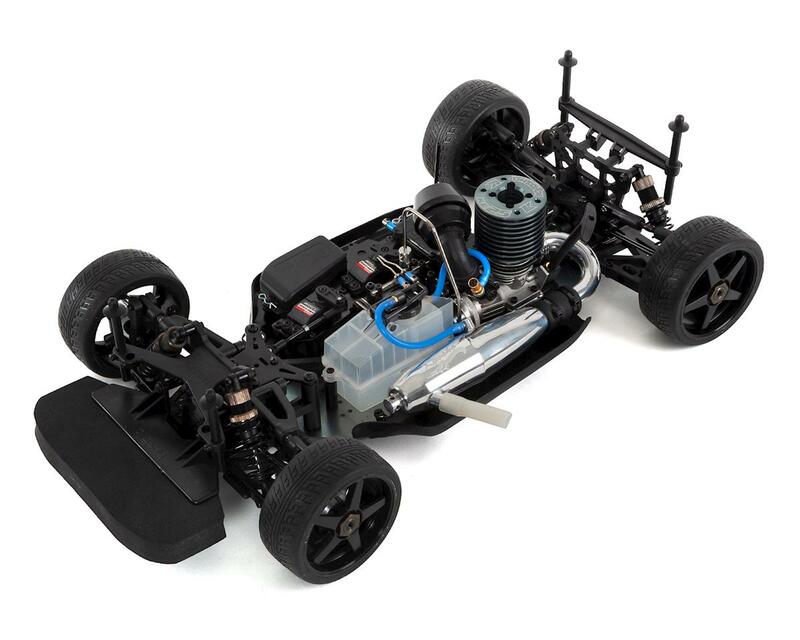 While keeping all the main chassis components unchanged, the adoption of the front CG type radio box from the MP9 uses optimal weight balance to increase grip and improve overall running performance. 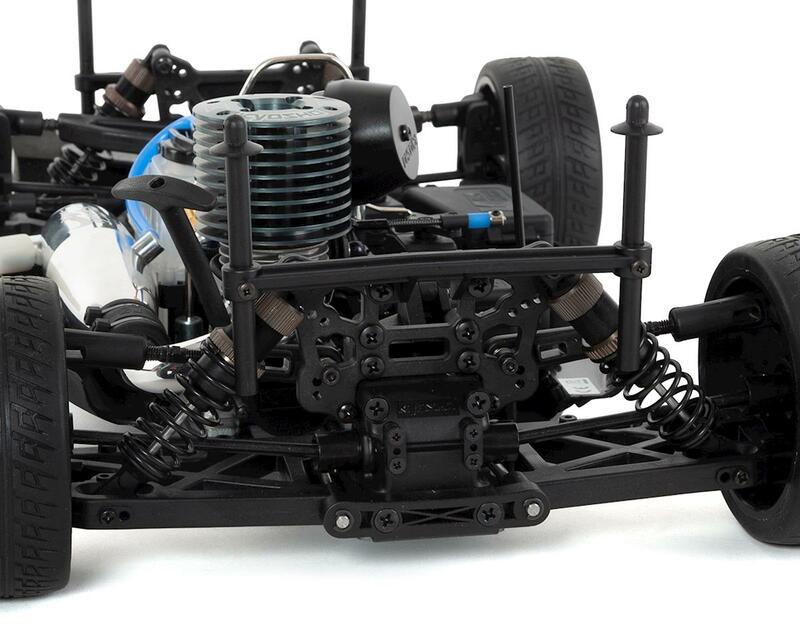 With aluminum parts anodized in Kyosho’s signature gun metal, the GT2 looks awesome. 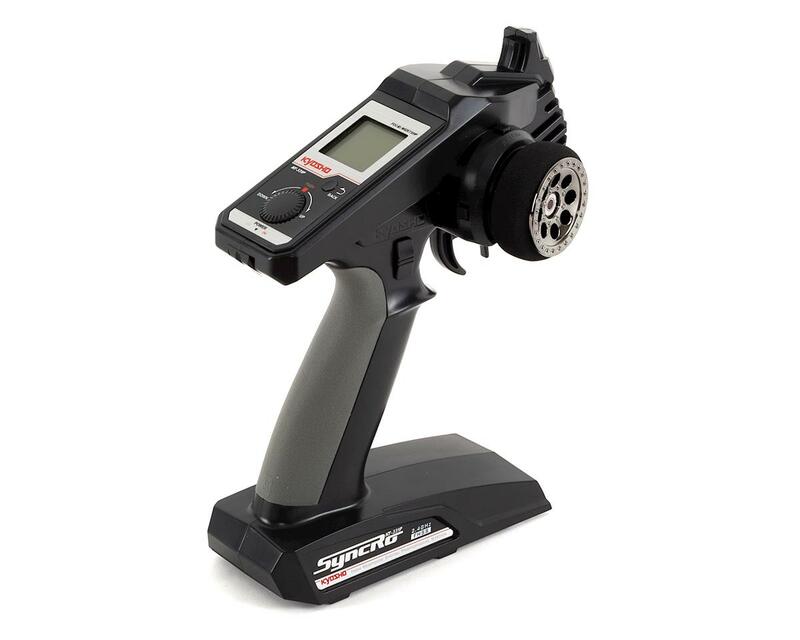 The included Syncro 2.4GHz KT-331P transmitter automatically manages frequency bands and features LCD screen, jog dials, model selection (up to 15), endpoint adjustment, dual-rate and exponential settings. 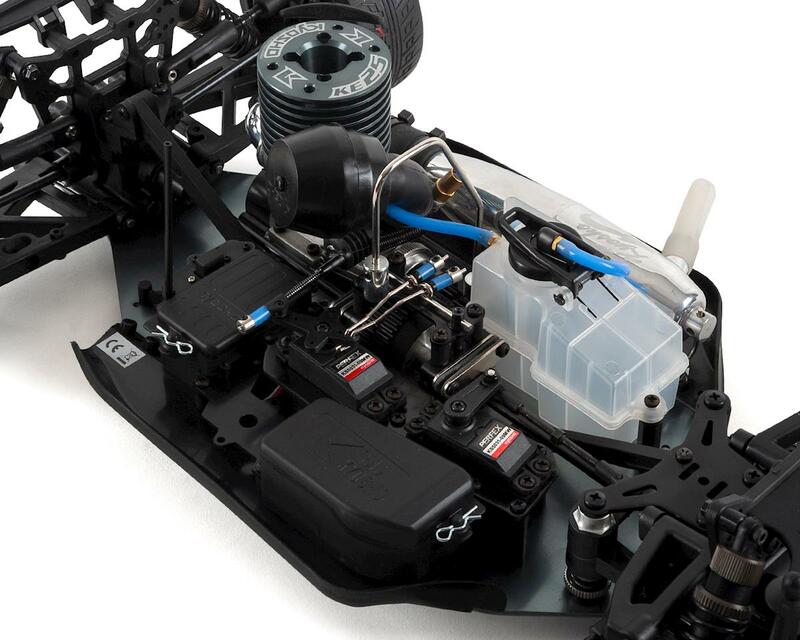 Powerful servos deliver both high-torque and high-speed for superior control. 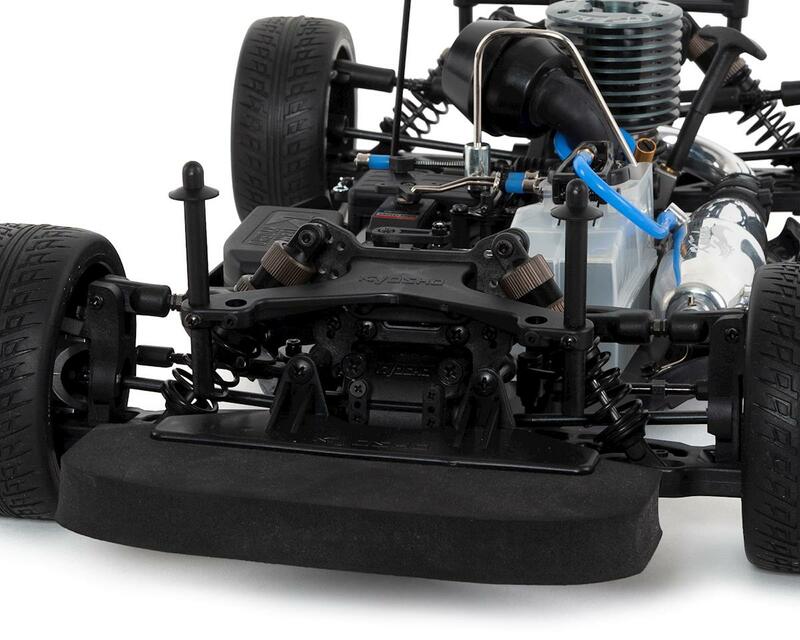 Packaged as a Readyset, you can enjoy the power and performance of this big machine as soon as you buy it.